Have you ever wondered what that box of old records could be worth? 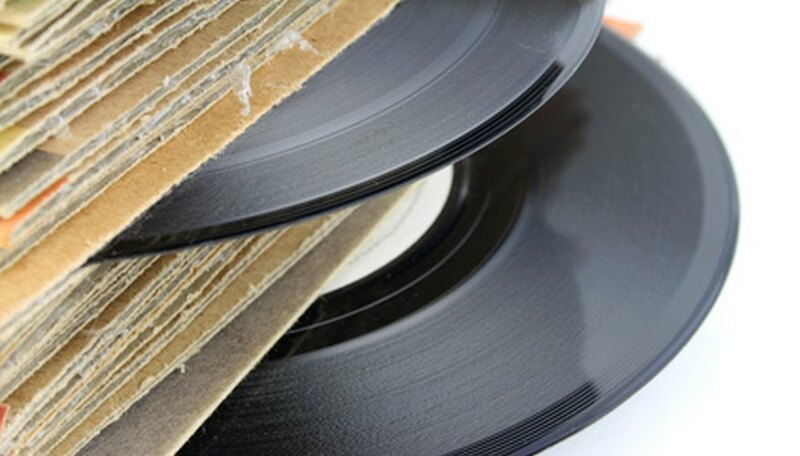 Besides physical condition, rarity and demand greatly contribute to the value of vinyl. If your records are in decent condition, it may be worth investigating their history and getting appraisals. The physical condition of your vinyl is a large determinant of selling price. For instance, if the record is scratched, sounds muddled or crackles and pops when played, the record may have a low value. The condition of the cover and sleeves determines an album’s value just as much as the vinyl itself. The fewer marks, writing and tears, the higher the value. A sealed album will fetch the highest price. Continental Record Company Ltd. explains that rarity of a record is one of the major factors when determining value. Though it seems counterintuitive, best-sellers do not necessarily sell for high prices because high numbers of these were pressed. It is the albums that did not make the top 30 that often are highly priced simply because fewer copies exist. Demo or promotional records (audition records for radio stations) are also commonly very valuable because of their rarity. Related to rarity, the first (“original”) pressing of an album will be significantly more valuable than later pressings. According to Continental Record Company Ltd., whether an album is pressed in stereo or mono can be significant depending on the date of release. After 1970, records were pressed in stereo mode, so stereo records before 1970 or mono records after 1970 are rare and therefore potentially valuable. Logically, the price of a record is partially dependent on how sought after it is. Just because a record is old does not mean it is necessarily valuable because the artist’s fans may no longer be the generation collecting vinyl. Certain artists, such as the Beatles, are consistently highly valued because of their significance in musical history and multi-generational fan base. To get a sense of the potential worth of your vinyl, check out an online database. Musicpriceguide.com allows you to search for specific titles and artists and view selling prices. Keep in mind that appraisals represent a record’s highest potential value and that receiving that price is dependent on collector demand. Continental Records Company Ltd.: How much are your old records really worth?